(Reuters) - Barclays has named the founder of a managed account platform for hedge funds as the new boss of its wealth and investment management arm. Barclays said on Monday that Akshaya Bhargava would join as chief executive of wealth and investment management on Oct. 13 from InfraHedge Ltd, an operator of infrastructure solutions for ins-utional investors in hedge funds that he founded in 2010 and sold to State Street Corp. at the end of 2013. 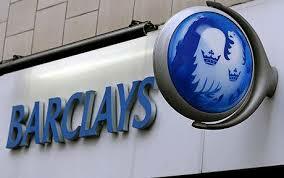 Bhargava will become the third head of the Barclays wealth business in less than two years. He fills the role left vacant by Peter Horrell, who said in June he would leave once a replacement was found. Horrell became boss of the wealth business following the departure of Tom Kalaris in April 2013. Bhargava has previously been CEO of -erfield Fulcrum Group Ltd and spent 22 years at Citigroup, including stints in London, India and the Czech Republic.